#1 choice by Architects, Builders, Contractors & Developers World Wide! 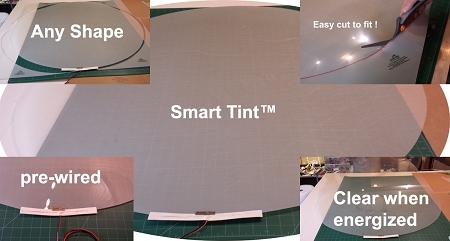 Our 6th Generation Smart Tint with easy install Smart Cling technology is available in 7 colors , and comes pre-wired with instructions ready to install. 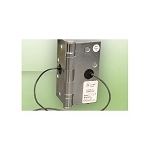 Your choice of a plug and play or a hard wired solution. 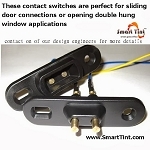 Contact your Electrician, Window Film Professional or General Contractor with any installation and wiring questions. 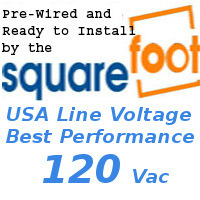 We offer WHOLESALE PRICING on a per project basis for all orders of 10 Square Feet and more! Order online now by choosing your color and installation type below ! 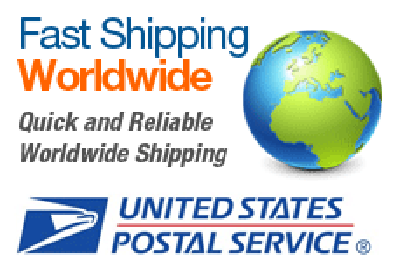 All online orders are processed within 24 hours. 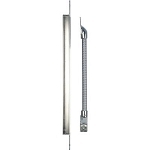 Please provide all measurement details in the comment section at check out. 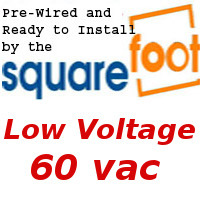 Get a quote for ALL ORDERS ABOVE 10 SQ. FEET. We coordinate your project with others to eliminate waste and pass the savings on to you ! WE CREDIT SAMPLE KITS TOWARDS YOUR LARGER ORDER. Non-Adhesive = 70.5 " x 184 "
Smart Cling Self Adhesive USA 120 vac max = 59.25" x 144"
Smart Cling Self Adhesive LOW Voltage 30-75 vac = 59.5" x 144"
*** If you wish to install smart tint on your auto, boat, plane, or any other custom application we will provide you with a sheet of Smart Tint that is pre-wired and ready for installation. Since Smart Tint is trimmable, you can cut/trim the material to fit your application or create a template for us and we can manufacture to size with our laser CNC machine . For custom or odd shaped windows measure the square/rectangle that your project first in and that will be the dimensions of the sheet you need to order. Make sure to compensate at least three - six inches below the door jam when measuring for automotive applications to compensate for wiring or consult with your installer. 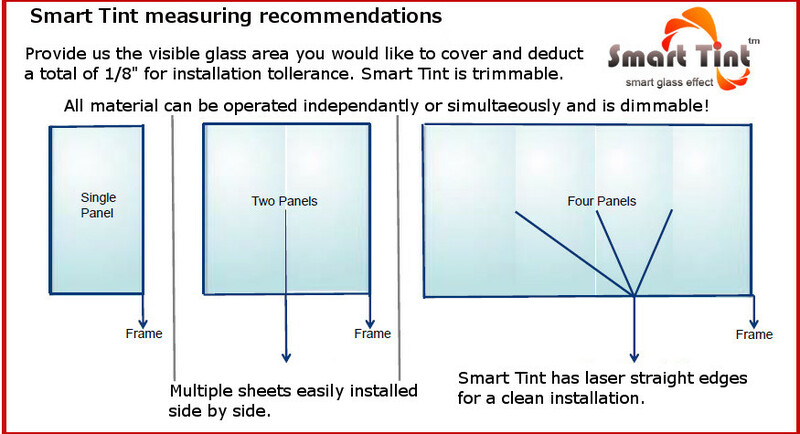 Upon receiving your shipment, simply make a template of the window and cut your Smart Tint to fit . If you are looking to do the project yourself and would like to consult with one of our design engineers please contact us for assistance. DON'T FORGET: Provide us your measurements, which side or corner you would like the wires installed, Smart Cling self adhesive or non-adhesive backing and any other special instructions in the comment section at checkout. 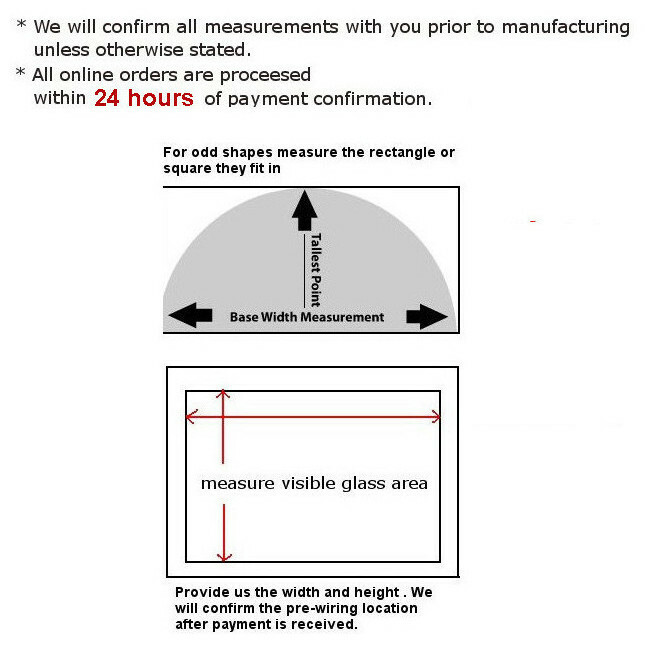 We will contact you within 24 hours to confirm all manufacturing details prior to manufacturing. Consult with one of our design engineers today ! 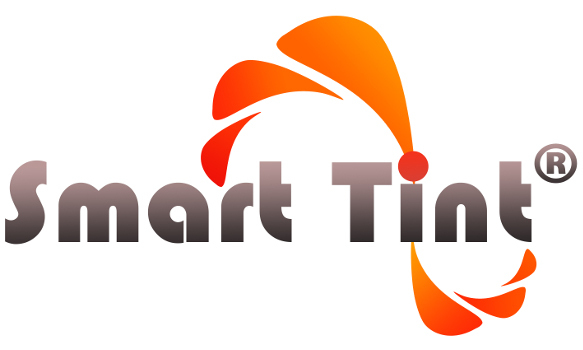 Buy Smart Tint® now or Get a Quote for your project ! 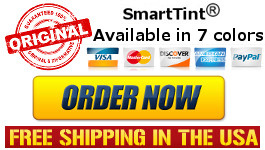 Smart Tint™ AVAILABLE IN 7 COLORS !